KARACHI, Pakistan, September 25, 2013 (ENS) – A powerful 7.7-magnitude earthquake hit Balochistan province in southwest Pakistan on Tuesday afternoon, killing at least 328 people and injuring more than 445 others. The temblor caused the seabed to rise, creating a new island. 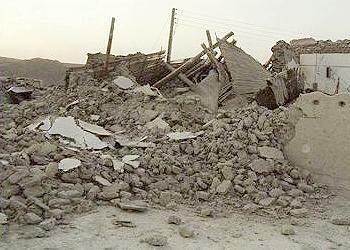 Authorities say it was the worst earthquake to hit Pakistan since 2005. Tremors were felt for two minutes in several cities of Sindh and Balochistan. Media reports indicate light tremors were felt in northern India, Iran, the United Arab Emirates and Oman. 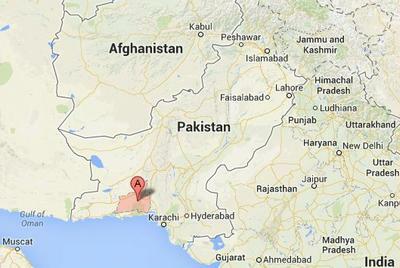 The quake’s epicenter was 120 kilometers southwest of Khuzdar at a depth of 10 kilometers. The epicenter is in a remote, thinly populated, mountainous area northeast of Awaran, Balochistan’s poorest district. Preliminary reports show more than 80 percent of the district’s mud houses were damaged. Provincial officials said thousands have been left homeless. “There is nothing, patients are dying,” Rehmatullah Muhammad Hassani, an earthquake survivor, told the news outlet Dawn.com by phone from the District Headquarters Hospital in Awaran. He said the patients are facing difficulties in getting basic first aid treatment in the hospital. The UN Office for the Coordination of Humanitarian Affairs warns that security concerns in the area are likely to slow the gathering of accurate and comprehensive damage assessment information. Other affected districts include Kech, Gwadar, Panjgur, Chaghi and Khuzdar. Losses have been reported in other remote areas and it is feared the death toll may rise. 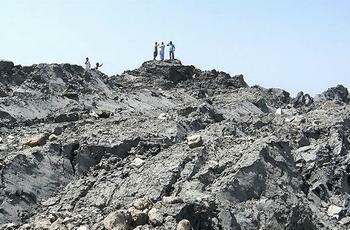 The Pakistan Army, Frontier Corps and the civil administration are coordinating rescue and relief activities. The army has sent four helicopters with food packets, medicines and other relief items to the affected area. A convoy of some 60 army trucks left Karachi on Wednesday, carrying supplies. The army announced that 1,000 troops and 200 doctors have been sent to the quake-hit area and more are on the way. The National Disaster Management Authority, NDMA, has provided 2,000 tents and 2,000 food packs for those left without shelter or food. Major General Muhammad Saeed Aleem, chairman of the NDMA is visiting the provincial capital of Quetta to coordinate with the Balochistan Government and oversee rescue and relief efforts. Provincial authorities have sent 1,000 tents, 800 food packs and 300 jerry cans. The Pakistan Red Crescent now has a rapid assessment team in the ground in the area, who say humanitarian needs are expected to be medical care, shelter, food and clean water. The United Nations in Pakistan has expressed condolences to the people and the government of Pakistan. The UN and its humanitarian partners are in close contact with the National Disaster Management Authority and, if requested, are ready to provide support for the relief efforts and to mobilize the international community. Pakistan has not issued a call for international assistance. The earthquake struck near the deep-sea port city of Gwadar, releasing jets of methane from the seabed that raised enough mud, sand and rock to form a new island five kilometers (three miles) from the coast. The phenomenon is rare but experts said other islands have appeared in the area in the past, only to erode back into the sea. The National Institute of Oceanography is collecting samples of the new island’s soil to determine its composition. Pakistani Navy geologist Mohammed Danish said on national television that the island is 18 meters high, 30 meters long and 76 meters wide. “Gases are still emitting,” he said, warning people to stay away from the new island. But dozens of people have already visited the island, said Gwadar District Deputy Commissioner Tufail Baloch, who traveled there on Wednesday. He said the area smells of gas and dead fish are floating on the surface.